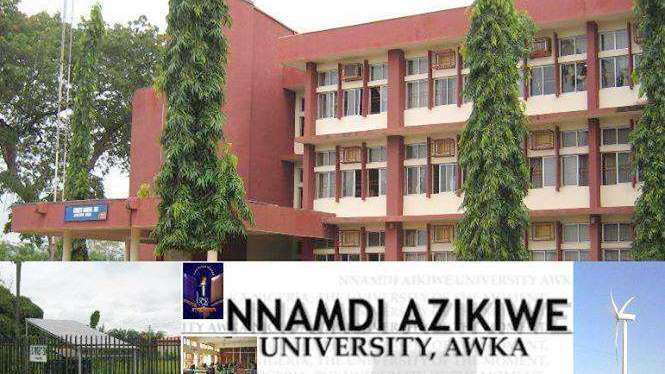 Successful entrepreneurs in Igbo land yesterday told the students of Nnamdi Azikiwe University (UNIZIK) to begin their own enterprises either as students or immediately after graduation for their survival in the country’s uncertain economic climate. A manufacturer and chain store owner, Robert Onyebuchi Anwatu who runs Roban Stores in Enugu, Ebonyo and Anambra and expert in hospitality business, estate development and education, Patrick Chidolue shared their life experiences with the students in this year’s 9th Chike Okoli Center for Entrepreneural Studies lecture series titled; ‘From Rags to Riches’. The lecture series was actually meant for the students of the university, but the occasion turned into an academic festival as hundreds of the audience were non-students. In all, three lectures were delivered by experts in various fields, while Chidolue was the Chairman of the day. According to Anwatu, to succeed in a country like Nigeria, one must think outside of the box. “The good news is that entrepreneurs think outside the box. The uncertainty makes them survive,” Anwatu stated. The Business mogul advised the audience not to be afraid of failure although if they have mentors it will minimize losses, adding that to succeed they should also be prepared to take risks, work hard, have vision, knowledge and the desire to succeed. He also advocated the introduction of entrepreneurial studies in secondary school curriculum. In his welcome address, the Vice Chancellor of the university, Prof. Joseph Ahaneku stated that the topic was germane to the extent economic realities in the country. Also, in her welcome address, the Director of the center, Prof. Ngozi Anyikwa, urged the students to pay attention to the lectures to avoid being entangled in the economic quagmire confronting the nation.